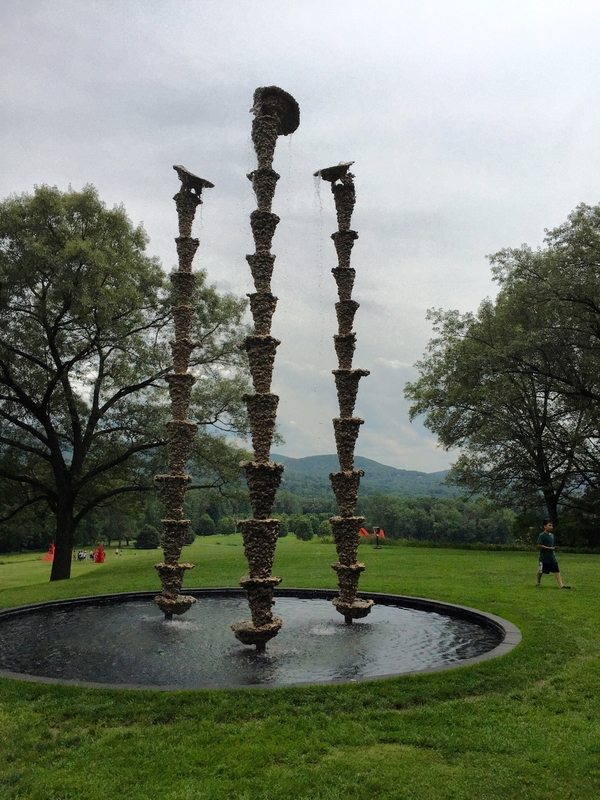 I recently spent a very pleasant day bike riding amid the sculptures at the Storm King Art Center in Cornwall, NY. It is an extraordinary place that is so big you can rent bicycles to help you get around. Storm King is definitely worth a visit. 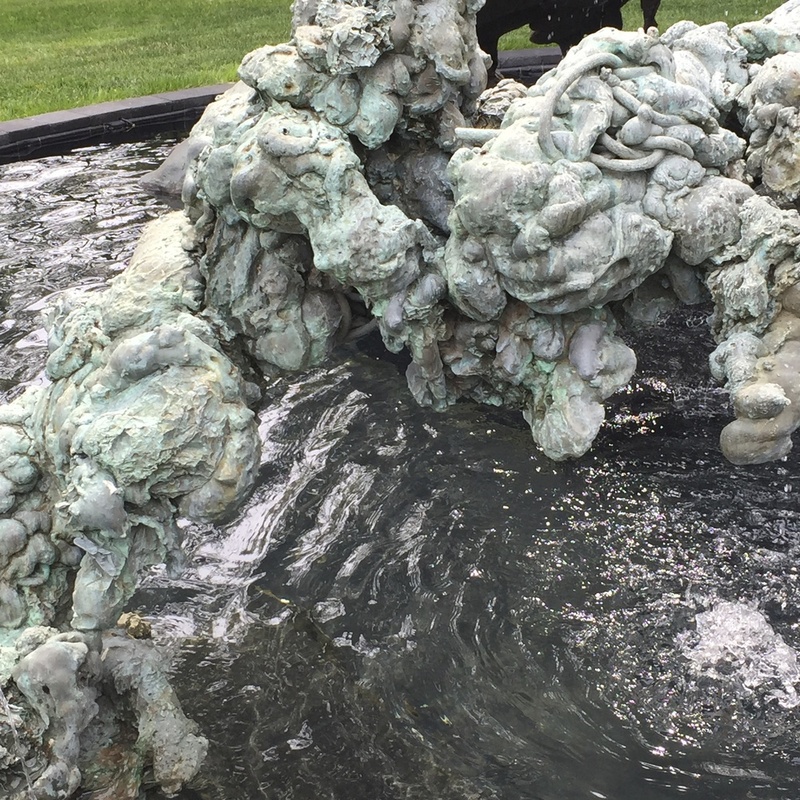 The featured artist this year is Lynda Benglis. 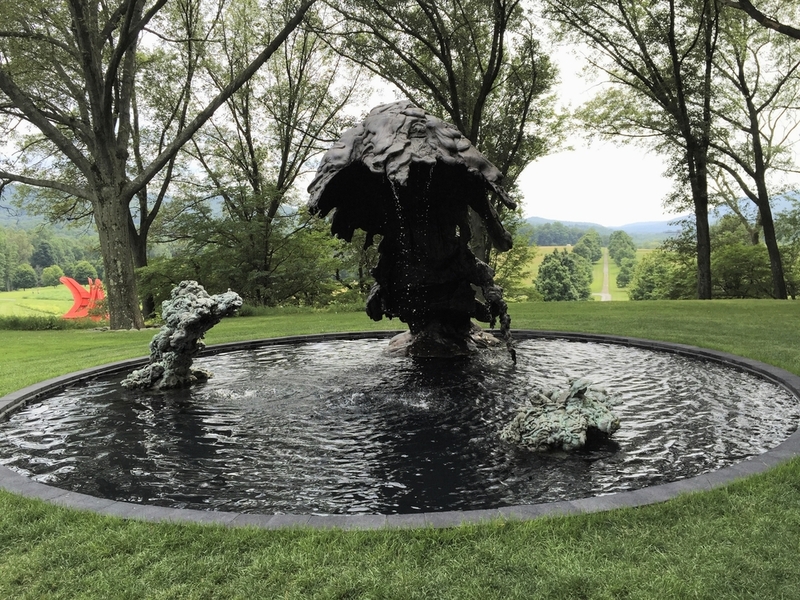 In the garden are her very large metal fountains and inside the gallery are Benglis’ smaller ceramic works. 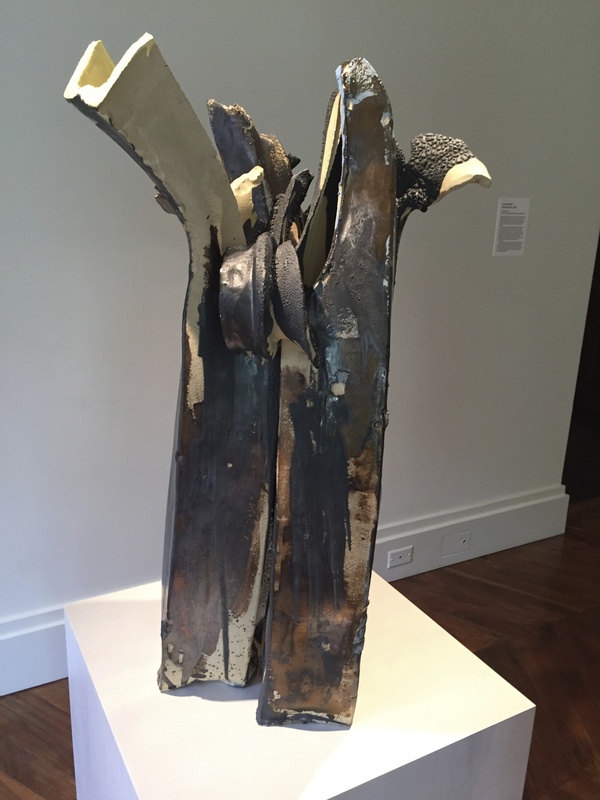 I enjoyed seeing the way she played the mediums of clay and metal off of each other. 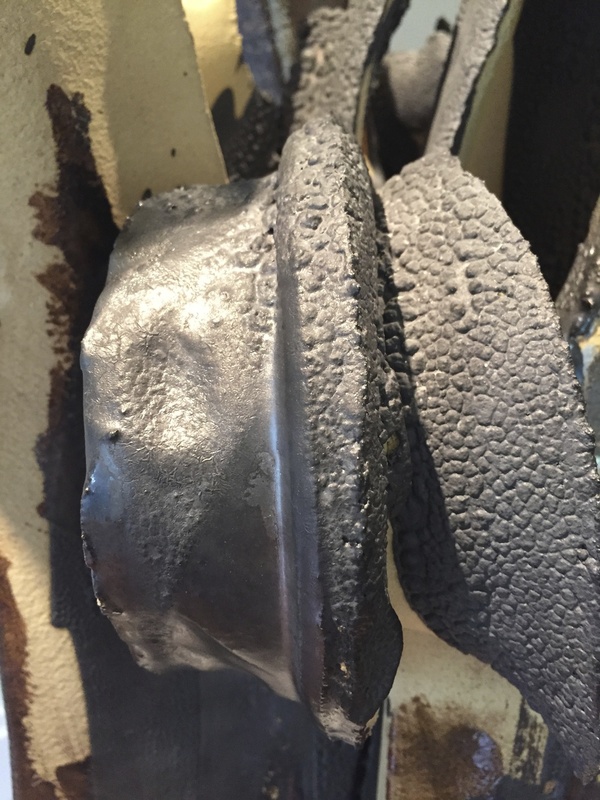 The metal was very claylike with its dripped organic structures and the extruded ceramics sculptures had a metal rigidity to them. 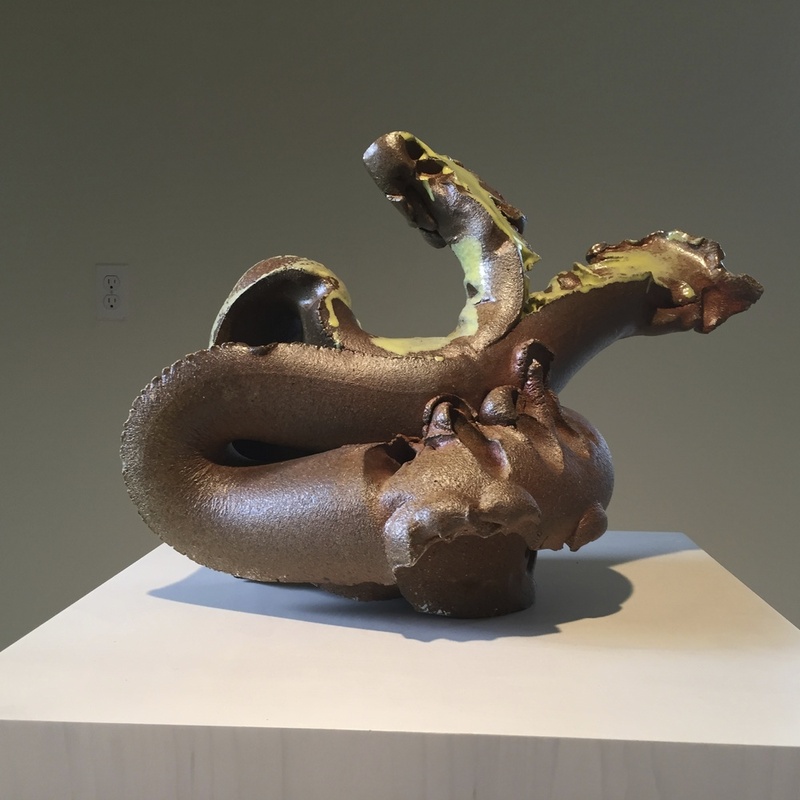 Benglis recalls that she became interested in playing with mounds of sand, clay, water, and moss as a child visiting her grandfather in Petal, Mississippi. The surface of her ceramic pieces show the impression of her hands as she rolls, squeezes, rips, pinches and folds the extruded clay forms.